Choose the shipping method that suits you. We Want You to Love Your T Shirt or Apparel, if there are any problems please contact us and let us know and we can see what we can do to help. 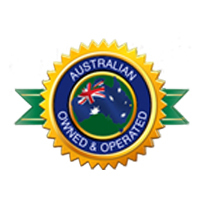 We are Australian Owned and Operated. Based in Brisbane Queensland, carrying stock of most of our T Shirt in Store. 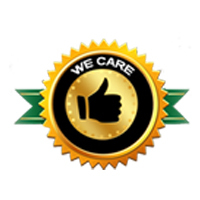 The Wholesalers that we choose to get our products from are OEKO-TEX ® Standard 100 as well as WRAP certified. We do our best to get your T Shirts Processed and Shipped out to you the very next Business Day so you get it quick. We send with Australia Post and Fastway Couriers. While we have no control over that part we do our best to get your T Shirts to you Quickly and Affordable. 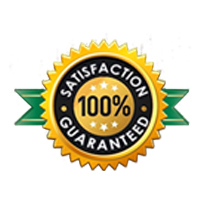 100% Satisfaction Guaranteed, If You are Unhappy for any Reason please contact us and we will work with you to get it right. Please Read our Return Policy , Security Policy, Copyright conformation and Terms and Conditions so you are aware of our Policies. We Pride ourselves on our 5 Star Customer Service, if you have any questions we are happy to help, weather you send an email or want to talk to us on the phone our staff are here to help. We have Flexible Shipping Options, Standard Shipping, or in Store Pick Up if you are Local. We offer Flexible Shipping to suit your needs and budget. Need it fast let us know and we will get it out as quick as we can for you. Please note on each product the handling times. Welcome to The Blank T-Shirt Shop! You’re going to get great Plain T Shirts with us: We live and breathe t-shirt. Weather you need a Basic everyday T Shirt or A Hoodie to keep out the cold we are here to help. At The Blank T-Shirt Shop, we have a wide and varied selection of t-shirts, hoodies, polos, tanks and singlets ready and waiting for you. Just make your Choice and we will get them out to you as quick as we can. We are experts in t-shirt printing as well if you need, screen printing, embroidery, toddler and baby t-shirt printing and much more – just contact us with what you need and we will do what we can to make it happen make it happen for you! In Store, we have T Shirts in stock, so if you come by the shop we are likely to have what you need right here right now. Or if you need more than we have on hand we will get it in and out to you as quick as we can. Online, please check our handling times on each product some do have longer handling times than others. Email, if you send through an email order we will work with you to get it how you want sent out as quick as we can. By Phone, we will answer any questions you may have and work out what you are after and get the t shirt you want it out to you as quick as we can. Blank T Shirts and Apparel at great pricing, Basic, Premium and Brand Name Plain T Shirts at discounted rates everyday with No Minimum No Maximum. Delivered direct from us to where ever you are in Australia. We only stock apparel that we know is good, we have stock of most of our T Shirts on hand. We have stock of Men, Women, Kids Toddler and Baby Plain Tee Shirts to you for whatever you need them for. School Clothes, DIY, Work Wear and Promotional T Shirts at Wholesale pricing that is on sale all the time. We also offer bulk discounts: this will happen for you automatically as your volume increases when you purchase online. 10+ 5% Discount, 20+ 10% Discount all discounts are automatically applied at the checkout. We offer Fre Shipping and Tracked Shipping, just choose the method at the checkout, Free Shipping is sent out with standard post or with a courier without tracking, Tracked shipping is sent out to you with Australia Post Pacrel Post or with a Courier and we email the tracking through to you. We have done this because it gives you the flexibility to get it sent to you haow you want it sent. Need it express, give us a call and we will do what we can to help (please check on express availability before ordering).